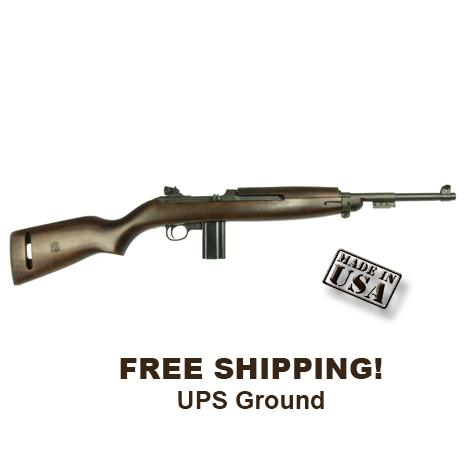 Inland Depot Home>>M1 Carbines and Accessories>>M1 Carbine "1945 Model"
The new Inland M1 carbines feature many of the same characteristics as the original Inland carbines and are manufactured in the USA! The 1945 version of the M1 carbine is modeled after the last production model that Inland manufactured and features a type 3 bayonet lug / barrel band, adjustable rear sights, push button safety, round bolt, “low wood” walnut stock, and a 15 round magazine. A 30 rd mag catch was utilized to allow high capacity magazines.